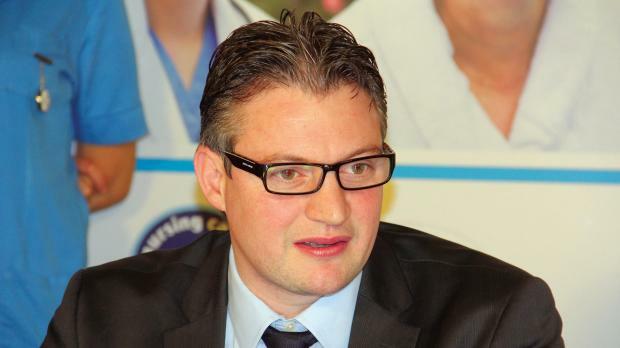 Energy and Health Minister Konrad Mizzi this morning described allegations that he had an extra marital affair with his communications coordinator, Lindsey Gambin as, as "false and outrageous," saying in court that his only relationship with her was a professional one. He said his marriage with his wife, Sai Mizzi Liang, is "strong", despite the long-distance relationship. Dr Mizzi was testifying in libel proceedings he filed against blogger Daphne Caruana Galizia over a blog posted last November in which she alleged that Dr Mizzi was having an affair with Ms Gambin. Describing the entire post as "a lie from beginning to end", Dr Mizzi vehemently denied ever kissing Ms Gambin or ever engaging in an "intimate embrace" as alleged by the blogger. "She said the relationship with Lindsey Gambin was an open secret among members of the press and politicians. This is far from an open secret but completely absurd. Worse than that she claimed that we were seen in an intimate embrace. This is blatant lie, beyond imagination. I never kissed her or intimately embraced her," he told Magistrate Francesco Depasquale. "I have had no relationship with Ms Gambin and the only relationship is strictly professional," he added. Dr Mizzi said that being his communications coordinator and also responsible for the implementation of projects, Ms Gambin regularly accompanied him to meetings. He said the blogger's claims that he had left the Sliema matrimonial home a few weeks after the 2013 general election after his marriage had gone "belly up" was also a lie. "Another lie is that my marriage broke down. The fact that she (Mrs Mizzi) lives abroad doesn't mean our marriage is not strong. We have a family together, two kids and we meet regularly," he said. He also denied that Ms Gambin had accompanied him on a trip to Beijing for discussions with Chinese firm Shanghai Electric over the purchase of a minority shareholding in State energy provider Enemalta. Dr Mizzi said Ms Caruana Galizia had "concocted" a story and "gave it colour with this lie". "It was not only an attack on me personally but also an attack on my family and my marriage," he said. Dr Mizzi said the blog in question was defamatory on a number of levels. Primarily, on a personal level because it put into doubt his marriage and he did not want his wife to get any "strange ideas" or doubt their marriage. It was also damaging to his career as a politician as he depended on people's votes to get elected and such stories could sow doubts in voters' minds. "It is also damaging because I work with her everyday and I do not want people to give me bad looks if they ever see us together at meetings," he said. Drs Konrad and Sai Mizzi as well as Ms Gambin had filed libel proceedings on the day the blog appeared claiming that the article was libellous and aimed to tarnish their reputation, apart from being unfounded and untrue. Dr Mizzi also testified before Magistrate Depasquale in other libel case he filed separately against Opposition Leader Simon Busuttil and Nationalist Party spokesman George Pullicino over comments regarding his connection to ministry employee Louis Attard who had been charged over the police investigation regarding tampered smart meters. They had claimed that there was some kind of interference so that Mr Attard was charged with a lesser charge. "Louis Attard is not close to me as being alleged. He is not from my electoral district and I did not appoint him to any position. I found him there when I became minister and any promotions and allowances were given to him under the previous administration," he insisted. He said the claim that he had interfered with the course of justice, as Dr Busuttil allegedly claimed during a Dissett programme in November last year, was "a very serious allegation" that was "untrue". "I had no relationship whatsoever with Mr Attard and I never spoke to the police or anyone about his case," he said. Lawyer Aaron Mifsud Bonnici appeared for Dr Mizzi and lawyer Alex Sciberras appeared for Ms Gambin.